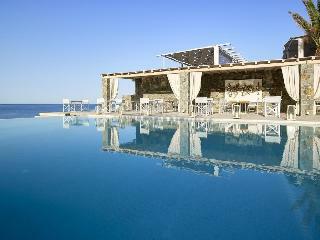 Find huge deals in Milos, Greece that you may book now & pay later! 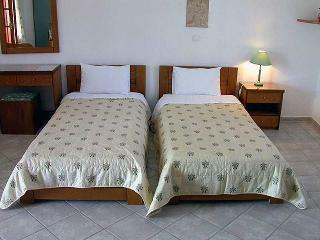 Best prices for in Milos, Greece. A dream vacation for you and your family, guaranteed by our travel consultants. For members-only deals, we recommend using the new filter for deals in Milos, Greece. The complex lies just 300 m from the nearest beach. 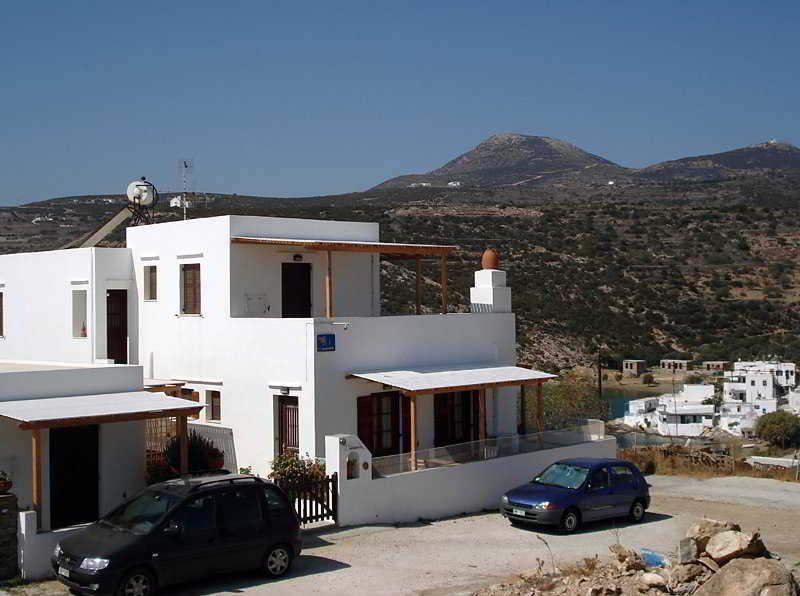 Adamas harbour is 450 m away and it is 4.5 km to the airport. The complex combines elegance and tranquillity, offering guests 5 studios and 1 suite that have been built amidst beautiful gardens (BBQ facilities available). Car parking is available to those arriving by car. The studios and suite each come with a fully equipped kitchen with a small fridge, a bathroom, air conditioning, a TV and a balcony or terrace. 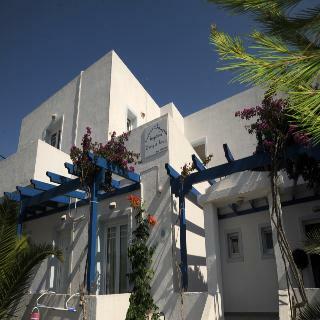 The hotel is situated 1,8km from the airport, 4km from the port, and 1 km from the beach. 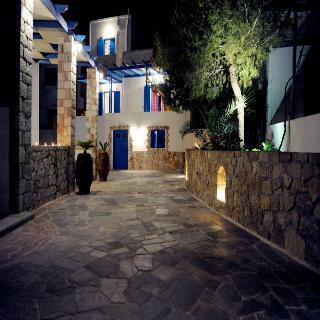 The hotel is situated in the village Korfos, on the top of a small hill, 4 km far from the beaches of the area. 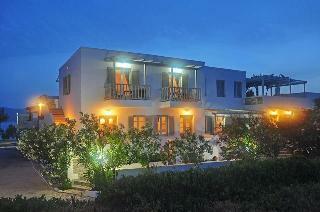 It is a traditional Cycladic house offering studios equipped with air-conditioning, fridge and TV. 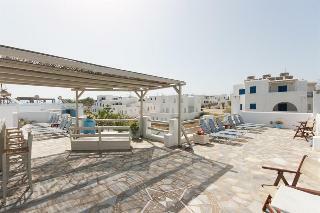 From the yard of Margarita Studios Milos you can enjoy a panoramic view of the plain and the gulf of the hotel. The hotel is situated 150m from the beach (Faros), 10km from the port (Kamares), near Faros village, 7km from the capital and 7km from Apollonia nearest health centre. 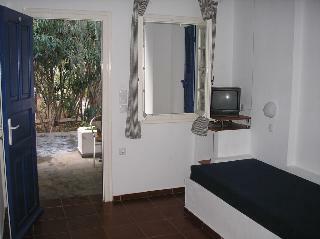 The apartments are located in Faros, in quiet location, 150 m. from the beach, restaurants, shops and bus stop. It has been built on a small hill top overlooking the entire bay of Faros with its beautiful beaches and its quaint village. The service here is superior and the décor is tasteful with nice furnishing. This cosy hotel is set in Pollonia. Those wishing to escape the hustle and bustle of daily routine will find peace and tranquillity at this accommodation. Pets are not allowed at this hotel. This charming hotel is in Pollonia. With a total of 7 bedrooms, this is a nice place to stay. Villa Notos Apartments is not a pet-friendly establishment. 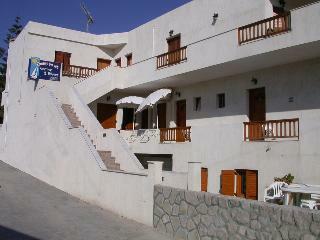 This lovely hotel is situated in Adamas. With a small number of only 14, this accommodation is very convenient for a quiet stay. No pets are allowed on the premises. This unpretentious hotel is set in Pollonia. 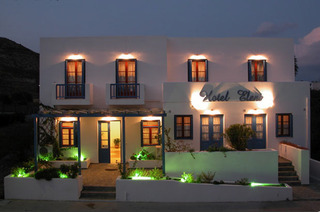 This cosy establishment guarantees a quiet stay as it counts with just 12 guests rooms. This property does not accept pets. 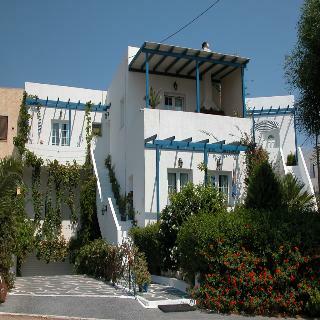 Aeolis Hotel is situated in the center of Adamas, the port of Milos in a central but quiet spot; parking is easy; On the ground floor there is a breakfast room serving continental breakfast. Rooms are spacious providing balcony or veranda with village view, are air-conditioned and have TV, telephone, kitchenette for preparing cold meals only. 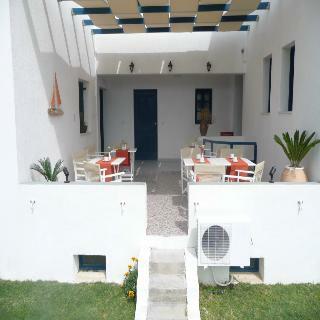 Mimoza Rooms is located in a peaceful environment in Adamas, Milos, while still in close proximity to the centre of the town. There are several parking spaces around the premises of Mimoza Rooms, which is only 400 meters away from either the central square of Adamas or the sandy beach of Lagada. All rooms are village or mountain view with shared verandas. 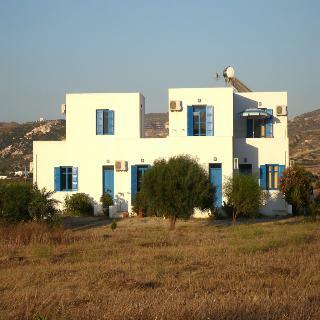 A property close to the village of Zephyria, situated in the wider area of Kampos (flat lands of Milos) and next to the Salt fry pans, 5klm from Adamas. Guests may enjoy both sea and sun-set views from their balconies. At the reception area coffee breakfast is served. Mrs. Gianna, will be more than happy to wip you up a home-made meal. Plenty of parking space and most of all a heart felt welcome from the proprietors. 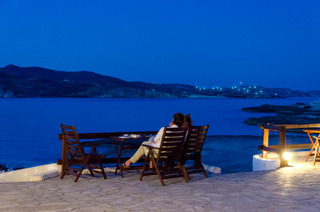 Boasting breathtaking views to the azure sea and the iridescent sunset, this romantic luxury boutique hotel in the enchanting island of Milos is an intimate hideaway with a miraculous sunset view for elite individuals seeking personal attention and superior service. 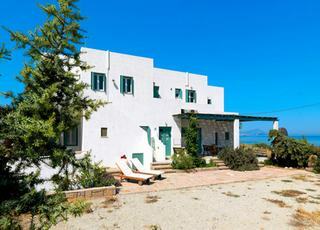 This unpretentious apartment is set in Pollonia. Coral Bungalows is not a pet-friendly establishment. 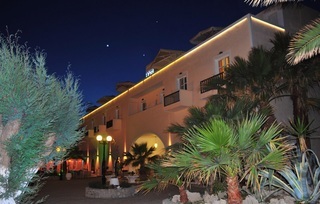 This lovely hotel is located in Pollonia. 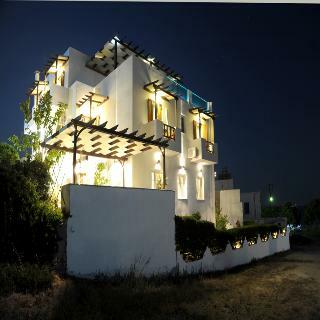 Guests will enjoy a peaceful and calm stay at Psarovolada Studios as it counts with a total of 12 rooms. Pets are not permitted on the premises. 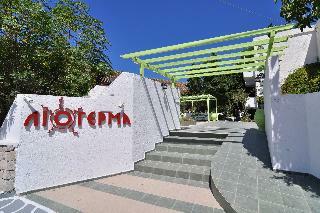 This charming hotel is set in Provatas Beach. Travellers will enjoy a peaceful and calm stay on the premises, as it counts with a total of 8units. Pets are not allowed at Vourlis Maison. This unpretentious apartment is in Pollonia. A total of 200 accommodation units are available for guests' convenience. This accommodation does not accept pets. 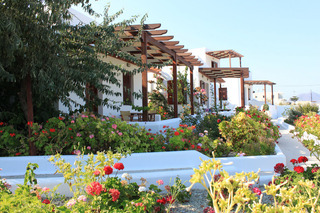 This charming hotel is situated in Zefiria. This hotel does not accept pets. 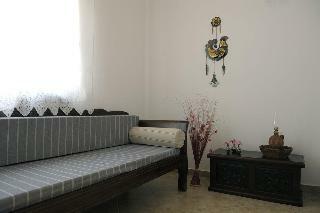 This comfortable apartment is set in Adamas. Anemoessa Rooms & Studios offers wired and wireless internet connections. The establishment provides 24-hour reception. Anemoessa Rooms & Studios does not offer cots on demand. Pets are not allowed at this apartment. Travellers arriving by car will appreciate parking available at Anemoessa Rooms & Studios. Anemoessa Rooms & Studios offers airport transfer service.